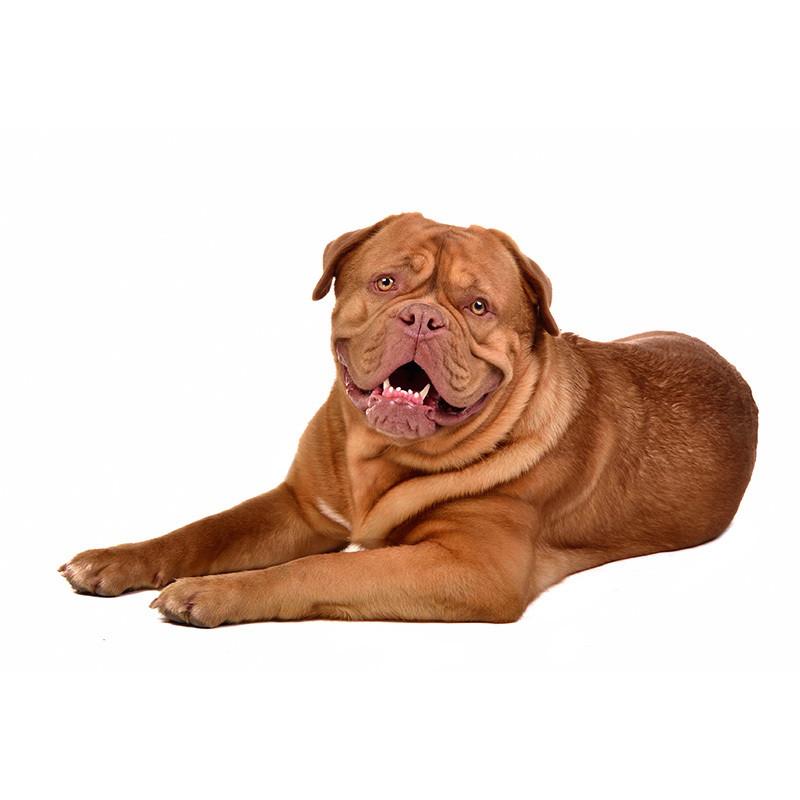 Sometimes known as a French Mastiff, the Dogue de Bordeaux originated in France’s Bordeaux region dating back over 600 years ago. They are thought to have originated from the Molossus, a type of Mastiff used as combatants in Rome’s colosseums, and then later made the trek from Rome to Gaul and worked as guardians and war dogs. After their entrance to France, they were used for bull and bear baiting, and when that ceased, they were used for fighting each other. The French used them for entertainment much the same as bullfights in Spain. The Dogue de Bordeaux eventually was used for driving cattle and guarding. Today they make wonderful guard dogs and companions. First and foremost the Dogue de Bordeaux guards their masters and homes fanatically. They can be suspicious of strangers and aggressive towards other dogs. They can inflict great damage in a heartbeat; however, they do not attack without reason. They are considered to be very gentle, patient, and calm with their families. In fact, they are so affectionate that they will worship you. Even though they are very intelligent and quick to learn, the Dogue de Bordeaux can be stubborn, so you’ll need to start obedience right away. They may or may not do what you want them to. However, if you are successful in their training, they can make wonderful companions and therapy dogs. They are people dogs and want to be with their owners all the time. The Dogue de Bordeaux can make a wonderful family pet, as they love children, have a good and calm temperament, and are extremely loyal and devoted to their families. The Dogue de Bordeaux usually weigh between 99 to 150 pounds and stand approximately 23 to 27 inches tall. They are a large dog with a massive head on an equally massive body. Their coat is very short and comes in dark auburn or fawn. This dog drools A LOT! A Dogue de Bordeaux starred with Top Hanks in the 1989 movie, Turner and Hooch. This breed requires a lot of training and socialization.